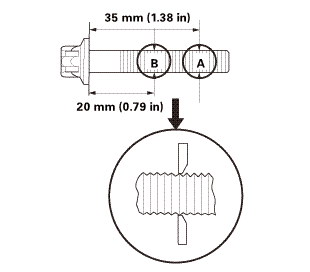 Measure the diameter of each connecting rod bolt at point A and point B. Calculate the difference in diameter between point A and point B. If the difference in diameter is out of specification, replace the connecting rod bolt.